The dos and don’ts of wedding fashion. The thought of Meghan Markle’s wedding dress has got the i-D office going crazy for 2018! We can’t wait! What will she wear! OMG! Major! Fashion! We really can’t wait! Will it be boring? Will it be amazing? Something monstrous or something magical? Your favourite fashion magazine (us!) decided to offer some advice. Just in case. She would wear Ed Hardy. 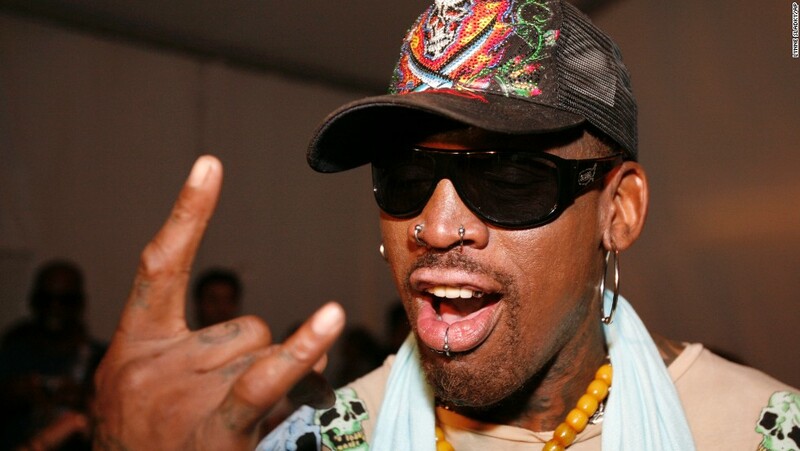 What’s more American than Ed Hardy? NOTHING. Harry pours out a Four Loko at the altar to symbolise their true love. Balenciaga spring/summer 18. Photography Mitchell Sams. To make a real statement, Meghan with an H should wear the iconic denim dress of dreams that former (pop) princess Britney Spears wore to the 2001 American Music Awards, re-interpreted by London favourites Marques’Almeida. 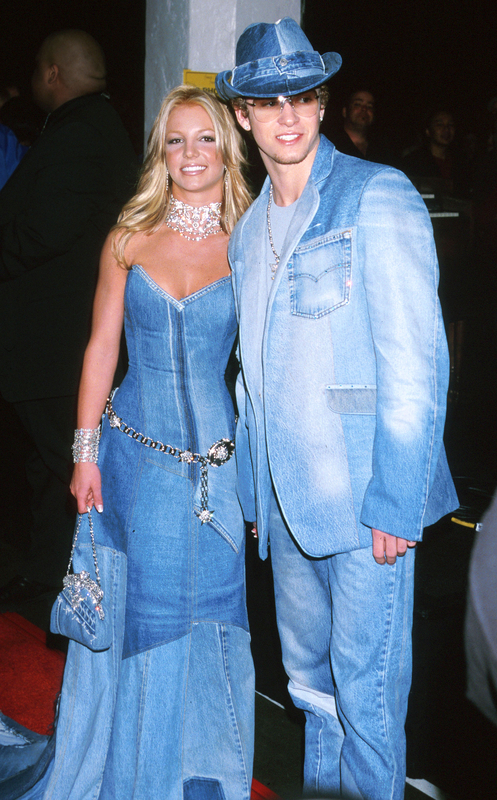 Harry would do well to complement his bride’s look with an exact replica of JT's double denim suit. As the happy couple privately jet off in the direction of Vegas, leaving everyone in Westminster feeling confused and chilly, Harry will don his denim cowboy hat with a smug grin, happy that he had his people track down actual undead Elvis to secretly marry them there instead. Vetements autumn/winter 17. Photography Mitchell Sams. Vetements. Nothing could better signal this new dawn for the Royal Family than a much-needed modern deconstructed reinterpretation of a classic, traditional staple. She’s a modern women, a women of the people, a woman who you can really ~relate~ to. So obviously ASOS. Besides -- it’s a big day, there’s lots of pressure, a few million eyes watching. And ASOS has a handy free returns policy that means you can order seven near identical variations of the same white garment in three sizes each to ensure you find The One. Next day delivery means that she can change her mind on whether to go minimal chic or full meringue right up to the bitter non-public-holiday end. Real talk though: does next day delivery apply to babies too? Rick Owens spring/summer 18. Photography Mitchell Sams. The worst thing about this royal wedding is that there will not be a bank holiday. The best thing is weird commentary about it by those who love the Royal Family, but don’t like mixed race American Catholic divorcees, thanks very much. But everyone loves a royal wedding, really, don’t they, how ever much they might pretend not to. The souvenir mugs. The memorial plates. The commemorative cigarette lighters. Pippa’s bottom. The hard left wandering the streets in threadbare donkey jackets humming La Marseillaise and posting pictures of Cromwell decorated with love hearts on Instagram. Meghan Markle, walking down the aisle, dressed in spring/summer 18 Rick Owens, to shocked and stunned silences of Huw Edwards, Jenny Bond and Nicholas Witchell. Something old: the crown jewels, the tiaras -- all of 'em because more is more and it's a shame to waste all that bling. Something new: I feel that Meghan is going to be a fabulous princess, committed to the creative arts and repping the (disillusioned?) youth. So something new from a new designer. I see her working a cheeky latex trouser from Supriya Lele or even a cheeky kilt from Charles Jeffrey. Something borrowed: One of the Queen's corgis for a flower girl. And when I say flowers I mean these Moschino ones. Something blue: let's go for this look (Riri won’t mind). The Royal Family is Britain's greatest tourist attraction. An even longer running soap opera than Corrie, and with similarly fancy fashions (from Emily Bishop’s 1972 wedding dress, to contemporary eveningwear). As an actor, it would be fabulous to see Meghan play on her dramatic craft, and also to create a bridge of harmony and understanding between a troubled American culture, and a troubled British one. For these reasons, she would do well to invest in London designer Dilara Findikoglu’s theatrical catwalk collection, and the look aptly titled The Bride. With its regal shape and non-denominational symbolism, the gown is perfect for this border-crossing modern Princess, and will also send a message to those ghastly ‘alt-righters’ that their very unbecoming ire will be met with absolute grace.